Cant make the jump to your next level? For the paddler who is missing an element or two in their paddling, they want to take off and break through, but they need to get to the launch pad. Injury Recovery, something holding you back? 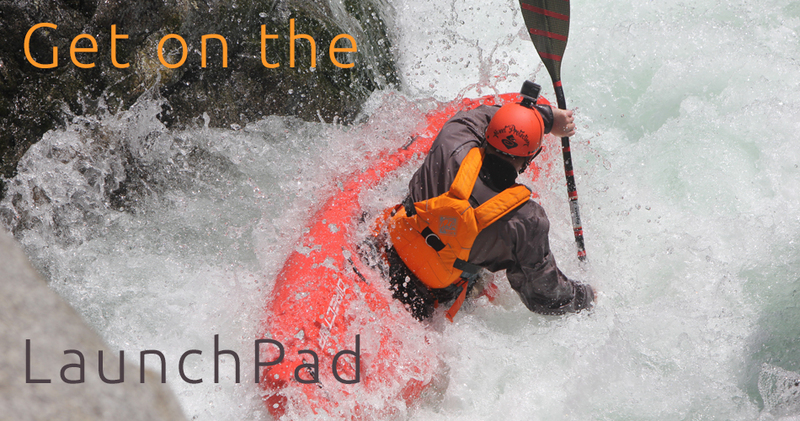 LaunchPad can get you to the next level? Set in the perfect natural classroom of the Soča river, this course will have developing a holistic view of how a kayak moves through the white water and an understanding got the details the shape success and a desired performance. We’ll focus on tactical comprehension and it’s delivery through progressive technique application. Dumping much of the technical dogma that blights many a paddlers progression. We’ll grasp what simply works and take that forward on to new lines with great results. During a week with us on the Soča we can change the way you paddle and get you ready to step on to the LaunchPad. Day 3 We’ll build on day 2, including a review of technical skills. We’ll also spend time playing down the rapids and discovering what we can and can not easily do. Day 5 Today’s the day to concentrate on the missing gaps. Day 6 Paddle for yourself: we’ll spend the morning on personal paddling workshops, followed by a consolidation descent. Day 7 The Big day out! This all day mission’s the chance to use your newly developed skills on an Alpine classic. Soča LaunchPad Skills Development takes place on Class II/III/IV whitewater. The Soča LaunchPad Skills Development is suitable for experienced paddlers who are able to paddle for 4 or more hours in a day on Class II/III/IV. Generally the rivers are accessible with near road access, but occasionally there may be some exposed terrain. This trip begins on an easier section of whitewater, but will soon reflect conditions expected at the grade. † Our Coaching Only solution, is simply that, our first rate excellent Coaching & Guiding, and assistance with river shuttles. Note: we can not guarantee the use of Gene17Kayaking's kayak, will depend of notification before booking and local availability at the time of booking.